In this two-part series, Dr. Srikant Jawalkar covers the gamut of epilepsy and seizures, explaining in depth the classification and diagnosis, and the difference between the two with the help of case studies. Epilepsy, a very common neurological disorder is very easy to diagnose and treat, provided a proper history and clinical examination is done and the appropriate drug is chosen. Here is a brief discussion about diagnosis of epileptic disorders. 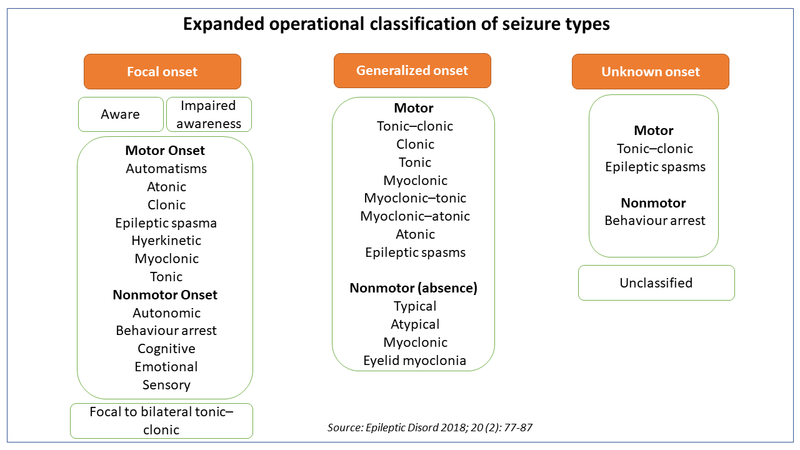 The 2017 classification proposed by ILAE (International league against epilepsy) classifies seizures based on the nature of onset,ie focal or generalized and whether the patient is aware (conscious)of surroundings during the seizure episode. Primary or idiopathic or genetic: In this type, the age of onset is in childhood or young adulthood. The family history is positive for seizures and physical examination is often normal. Structural like trauma, tumour, haemorrhage or infarct, arteriovenous malformation or congenital malformation, encephalitis, meningitis, cerebral venous sinus thrombosis, etc. Metabolic like hypo- or hyperglycemia, uremia, hepatic encephalopathy, etc. Secondary or symptomatic seizures are often associated with symptoms and signs which suggest the underlying disease responsible for the seizures. A neurological examination may be abnormal. It is very important to identify the type of seizure because the seizure type helps to identify the aetiology, eg. Idiopathic or primary seizures are often generalised in nature, whereas a focal onset of seizure suggests a structural cerebral defect like tumour or stroke, etc. Secondly, the choice of a particular drug for treating epilepsy also depends upon the nature of seizures experienced by the patient. We will come to the choice of drug in the next section when we take up the treatment of epilepsy. If yes, what is causing the seizures? The diagnosis is often clinical and in most instances based on the history given by the patient and eyewitnesses who saw the seizures. The patient can give information about aura or premonitory symptom which he/she experiences before losing consciousness. The patient loses consciousness (awareness according to 2017 ILAE classification). Non-motor seizures are more difficult to diagnose because they may present with varied symptoms. Sometimes, the symptoms are so bizarre that they are not recognised as seizures. Such people often go to a psychiatrist or the symptom is passed off as insignificant. A 7-year-old child brought by parents saying that the teacher complains that the child is inattentive in the classroom. Parents also noticed that he sometimes suspends whatever activity he is doing and stares, apparently lost in thoughts. This lasts only a few moments and the child immediately resumes whatever he is doing. This is a typical story of absence seizures (earlier called Petit mal). It typically occurs during the school going age. A 17-year old girl complains that things fall from her hands because she gets sudden jerks in her limbs, especially on waking up. Once in a while she also gets a major (tonic-clonic generalised) seizure. The girl has Juvenile Myoclonic Epilepsy (JME). Patients with myoclonic seizures complain of objects falling from their hands due to sudden jerky movements of hands or frequent falls if legs or trunk is affected. Myoclonus often occurs after waking from sleep. A 34-year old man, a lecturer in a college suddenly becomes unaware of his surroundings. He can continue to teach but after a few minutes when he comes back to his senses he cannot recollect what happened. Sometimes he makes chewing and smacking movements with his lips and spits in the class during such episodes. This is very embarrassing later, but he has no control over the automatisms because he is unaware of the events. This man has atypical absence seizures (also called complex absence or temporal lobe or antiepileptic seizures). These seizures often last longer than other types of seizures. These patients often consult psychiatrists or exorcists before coming to the neurologist. Elicitation of circumstances in which the episodes occur, the absence of frothing at mouth and tongue bite or injury during the attacks help distinguish them from GTCS (generalized tonic-clonic seizure). Once it is ascertained that the patient has an epileptic seizure the next step is to find out the underlying cause, i.e. primary/idiopathic or secondary/symptomatic epilepsy. As mentioned above, history and physical examination help to distinguish between the two. However, sometimes help of investigations is needed. A word of caution at the outset, normal investigation reports do not negate the diagnosis of epilepsy. Your clinical acumen is the ultimate tool to diagnose epilepsy. Imaging like CT scan or MRI brain primarily help to rule out/in secondary epilepsy. Blood tests may be needed to exclude metabolic/toxic causes. Another word of caution- a single seizure provoked by an easily treatable cause like hypo- or hyperglycaemia, eclampsia, etc. does not require prolonged treatment with an anti-epileptic drug. Stay tuned for the next article in the series that discusses the treatment of epilepsy. 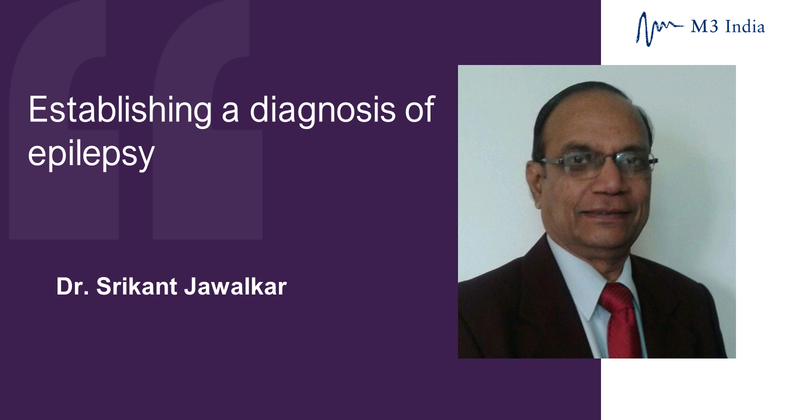 The writer, Dr. Srikant Jawalkar is a Senior Neurologist with over four decades of experience in the field.